Si la Palabra de Dios es nuestro Alimento Espiritual, la Oración es nuestro Respiro Espiritual. Oraciones adaptadas de God Listens de Jack Countryman. 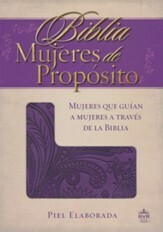 Esta obra, en un estupendo empaque para regalo, es la primera de una serie de Biblias de Promesas y Oraciones con la Nueva Versión Internacional. God has a wealth of promises in store for you. 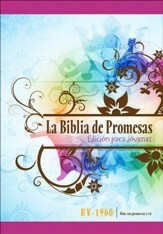 Jack Countryman's God's Promises has sold over 9 million copies. 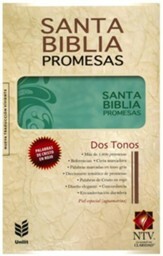 We have now combined the classic edition promises of the Word of God with personal, relevant and applicable to each stage of life, weaving them together with the popular text from the NVI prayers. Throughout this book, the reader will find pledges for each week and prayers specifically designed to help you cope every stage of life. If the Word of God is our Spiritual food, prayer is our spiritual breath. Prayers adapted from Jack Countryman's God Listens. 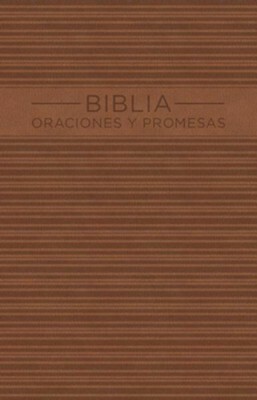 This work, in a wonderful gift packaging, is the first of a series of Bible Promises and Prayers with the NVI. 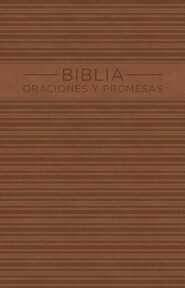 I'm the author/artist and I want to review Biblia NVI Oraciones y Promesas, Hombres (NVI Bible Prayers & Promises, Men).